While many organizations turn to virtual apps and desktops to support mobility and BYOD initiatives, VMware Horizon addresses these objectives too narrowly. Only a user-centric approach can meet the needs of both employees and IT. 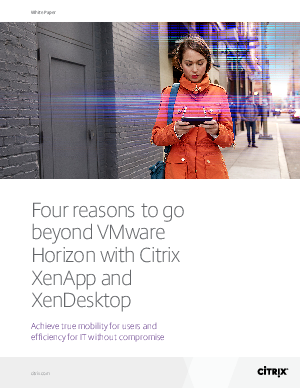 This paper explores four reasons to go beyond Horizon with solutions powered by Citrix.